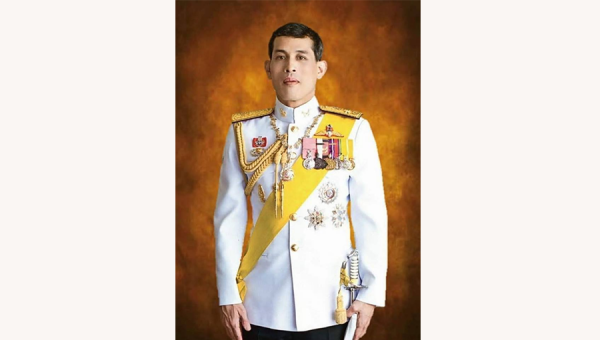 Bangkok Governor Aswin Kwanmuang today led city officials in a ceremony to draw water from a pond at the Haw Sastrakhom, a small building inside the Grand Palace. 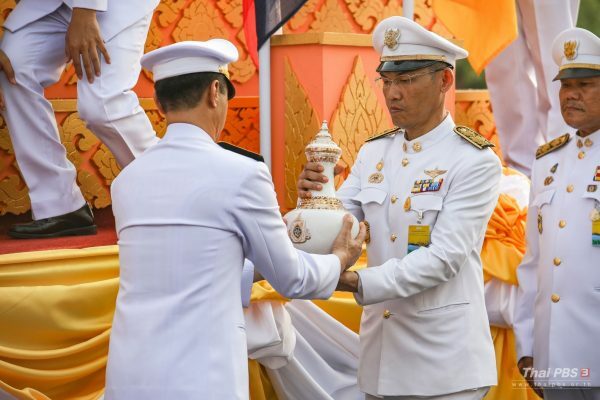 The sacred water, which is regularly blessed by monks on holidays, was put into a white Kontho, a Thai traditional vase, before being taken to the Interior Ministry where it will be kept with the 76 Kontho containing blessed water from Thailand’s 76 provinces. 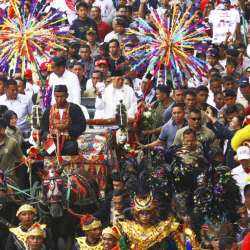 Governor Aswin, who hand-carried the Kontho, rode in a limousine, at the head of a procession of brass bands and city officials, from Haw Sastrakhom to the Interior Ministry via the Kalyanamaitri and Asdang roads. 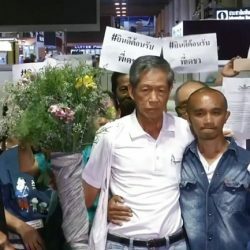 All the sacred water and water drawn from the Chao Phya, Pasak, Bang Pakong, Ratchaburi and Phetchaburi Rivers will be sanctified at Wat Suthat on April 18th. 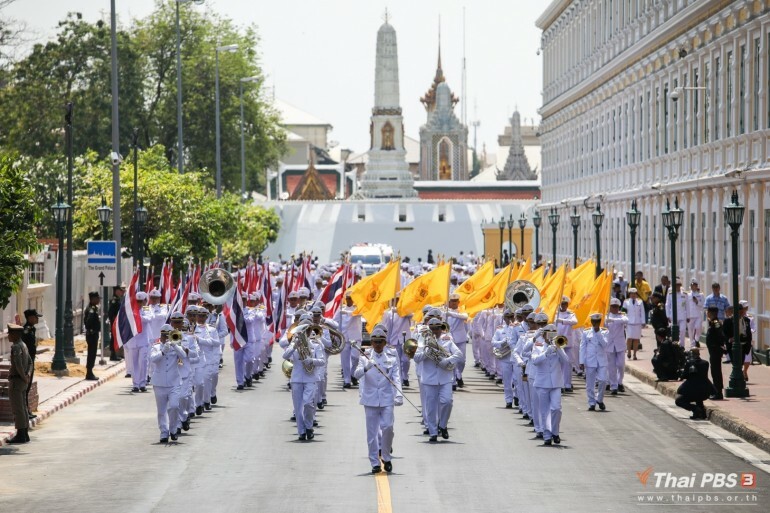 The following day, the holy water will be moved to Wat Phra Kaew, also known the Temple of the Emerald Buddha, to be used during the Coronation ceremony of HM King Maha Vajiralongkorn, which will take place from May 4-6.